The worker sued the elevator manufacturer for negligence. The complaint asserted that the manufacturer failed to notice the dangerous condition of the elevator, allowed the hazard to remain, failed to make repairs in a timely manner and failed to warn users about the hazard, according to the Record report. Of course, that lawsuit is going forward in Pennsylvania. If you suffered injuries in a similar type of elevator accident in Louisiana, could you pursue a claim for compensation for your injuries? The answer is “Yes,” you quite possibly could succeed in such a claim. Back in 2013, an elevator accident case that arose under somewhat similar circumstances went all the way to the Louisiana Supreme Court. In that case, the problem wasn’t a gap, it was a misalignment. Instead of the car being too far away from the floor, it was uneven with the floor. In both cases, the accidents involved workers who were moving wheeled devices (a food cart or a loading dolly) and suffered harm due to relatively small alignment errors. In the Louisiana case, the error was only one and one-half inches, but the injured man suffered herniated disc as a result of his elevator accident. The jury in that case ruled for the injured man and he received a damages award of $985,000. The Supreme Court upheld that ruling, concluding that a reasonable jury could decide that the misalignment was not an open and obvious hazard. The fact that a hazard is relatively small may actually be a strength in your case. One of the common defenses used by defendants in Louisiana elevator injury cases is that the hazard was “open and obvious.” Louisiana law requires everyone to assume responsibility for their own safety and to avoid harm that would be caused by a dangerous condition that’s open and obvious. If a jury concludes that your hazard was open and obvious, then you will recover nothing. Regardless of the precise size of the flaw in your case, do not let that lone fact discourage you. Louisiana does not have a specific numerical size figure beyond which a hazard automatically qualifies as open and obvious. There could be many reasons why you might be able to persuade a court that even a large hazard wasn’t open and obvious, such as low lighting, poor sight lines or objects blocking your view. 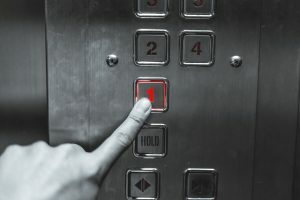 If you’ve been hurt in an elevator accident, whether or not that accident occurred due to a mechanical malfunction in the elevator’s movement, you may be entitled to seek compensation in court. Contact the Cardone Law Firm, where our experienced Louisiana injury lawyers have spent many years providing our elevator accident clients with the knowledgeable representation their cases deserve.